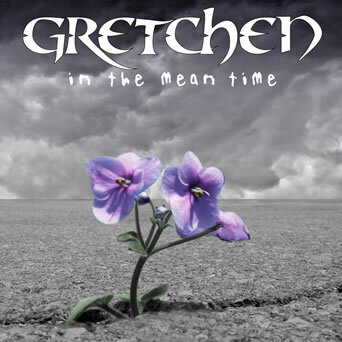 Five songs from this release received international recognition; “Ordinary Girl”, “Diamonds”, and “Mouth Full of Nails” all received honorable mentions for the rock/alternative category in Billboard's Annual World Songwriting contest. The song “Star” was used in a Ford Ranger promotion by Ford Motor Company. “Inclined” reached the #2 spot on the world acoustic charts on mp3.com. Serenade was Dave & Mia's band before Gretchen. 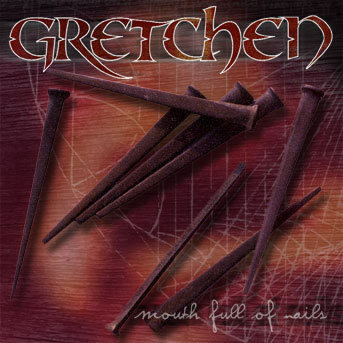 Check out earlier versions of songs that were later to be released on "Mouth Full of Nails"
Features Mia & Dave (from Gretchen) on vocals and guitar, Jeremiah Nave on drums, and Brandon Richards (Dave's brother) on bass guitar. Black short sleeve tee shirt featuring Mia holding the violet from the In The Mean Time album cover. Get the shirt & the CD together!! This simple design features the "Gretchen" logo on the front -- Short sleeve available in red/black or black/white in a variety of sizes. Same as the short sleeve version but with a tribal design added on the sleeves. Available in black/white only. A finer twist on a classic girl's t-shirt style designed for women of all ages who desire a youthful fit. Made with the finest jersey cotton to fit your curves. Black w/ silver metallic "Gretchen" logo.